← Easter Competition – Winner Announced! Pali Grimsbys Mike Blacknell set to run the London Marathon for charity! Apprentice Search Agent from Pali Grimsby, Mike Blacknell, is set to run the London Marathon this weekend in aid of Children with Cancer. Michael Blacknell, 25, is hoping to raise around £1000 for the charity when he undertakes the arduous challenge. Mike is the cousin of Mikala Ireland who tragically died just weeks after her wedding following a battle with cancer. After treatment, a regular check-up showed multiple lesions in Mikala’s liver and bones caused by a secondary melanoma, which was sadly confirmed as terminal. Less than three weeks after getting married to Matt Jones, sadly Mikala passed away at the young age of 26. Mikala’s story touched the heart of numerous people throughout the area and donations raised thousands to pay for her funeral. Mike has been preparing for the enormous challenge by running 4.5 miles to the Pali Grimsby office every day and has said his cousin would be very proud of his efforts. “If I was doing this while she was still here I’m sure she would have come down to watch. We were a very close family and she would be very happy I was doing it for this charity,” he said. Mike has set up an online fundraising campaign to help raise as much money as possible for the cancer charity. 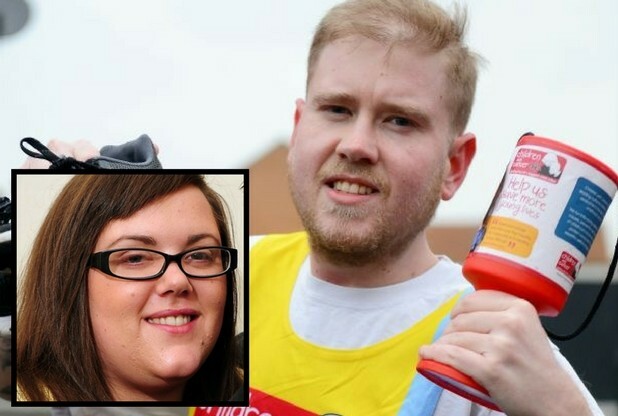 He said he chose to fundraise for Children with Cancer UK because Mikala was very active on online support forums in offering support to many young sufferers. If you would like to sponsor Mike for his run in the London Marathon please visit his Just Giving page here. This entry was posted in blog and tagged Charity, Children with Cancer UK, London Marathon, Pali, Pali Grimsby. Bookmark the permalink.